Loneliness is an emotion that’s universally understood. There can be many reasons that cause you to feel lonely. Sometimes, it can be because you’ve experienced the loss of a love - or someone that you love has passed away and you’re lonely because of the grief. You can feel lonely if you struggle with a health condition or you’ve experienced some kind of life upheaval such as a move or a job loss. While going through an experience can be a cause of loneliness, that’s not always the case. Sometimes, you simply feel lonely regardless of what situation you’re in. There are those who will sometimes confuse loneliness with someone who is by himself. But being alone and being lonely are two different things. 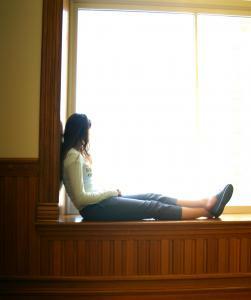 Experiencing loneliness is tied directly to your emotions while being by yourself is not. When you’re struggling with loneliness, you can feel sad. You might feel like you’re all alone in the world and that everyone has someone but you. You might feel that you don’t have anyone to talk to and no one to love you. These emotions can often trigger thoughts that add to the loneliness. But there is a way that you can reduce and even eliminate the loneliness that you’re feeling and that’s through mindful volunteer work. When you volunteer to help other people, it triggers your compassion response and helps you to become connected to someone else. Studies have shown that when you volunteer, it raises your level of contentment. When you don’t take action to deal with loneliness, then your mind will get on a track of constantly thinking about things that only add to the feeling. These things might be thoughts of the past, or negative thoughts. By practicing mindful volunteer work, you’re focusing on the present and the activity helps to keep your mind occupied, which keeps the negative thoughts from becoming a cycle. Mindful volunteering allows you to feel involved with others which acts as a bridge to give you a connection. You end up feeling rewarded because mindful volunteering can give you the social connection that you need to break free of loneliness. When you volunteer, you’re helping to meet the needs of someone else but in return, you’re getting your own needs met, too. Mindful volunteering means that you decide that you’re going to focus on helping someone else. You’re going to be there for them without any thoughts of what you’re going to get in return. But what happens is that you always end up getting back a lot more than you give with mindfulness. Helping others gives you a boost in positive feelings and thoughts. This is because you’re no longer focusing on how you feel, what you think or what might be missing from your life. Instead, you're pouring yourself into a cause or a purpose and you end up creating a support system for yourself as well as increasing empathy for other people.